Thank you to the Mesa Families and Friends that donated and assisted in the 2017 Mesa Cares Campaign! The Mesa community collect necessities for Mesa Families affected by the Thomas Fire and those in need at our school. PFO created a special fund to collect and utilize the donations to help Mesa Families in need identified by a committee of Mesa administrators, teachers, staff, Mesa organizations and parents. 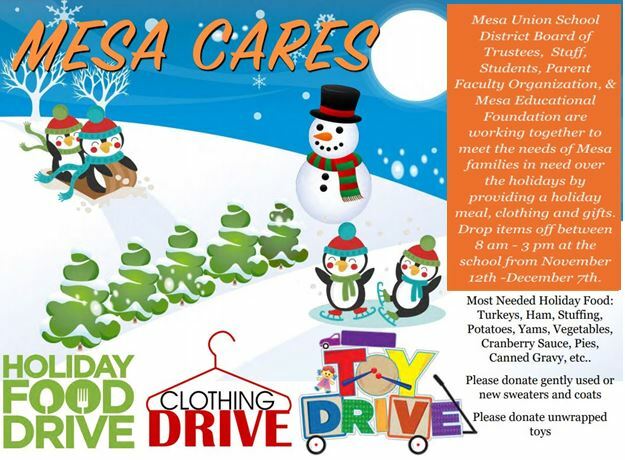 Let's show how Mesa Cares whenever a needs arises!